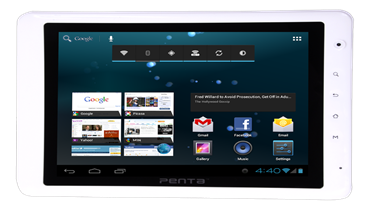 Launched in Nov 2012, the WS802C 2G tab by Pantel is far better than many others in its range. Well, it has calling facility and can support 3G through dongle. Simple. Wanna know more? Read on.. The WS802C 2G tablet can support 2G calling with its GSM SIM card slot. Also, 800 x 600 resolution is nice with 8 inch capacitive display. It aslo sports a good processor in the form of the Cortex A8 which can give 1.2 GHz of processing speed with 1 GB DDR3 RAM. A GC 800 Graphics unit is also bundled in the hardware package to give that extra edge in video and gaming experience. The WS802C also offers a 5000 mAh battery which is sufficient for 5-6 hours of use. The problems with this one though are that it offers just one front side VGA camera. Also, at 560 gm, its weight is a bit on the heavy side. Apart from that it offers you most things that other competitors like Velox Tab 8, Byond Mi 8 and Swipe Velocity can in the 8 inch tablet range. 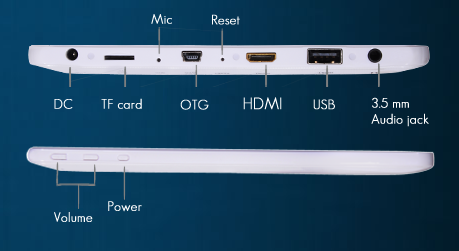 An ICS Android v4.0.4, and a host of connectivity options like miniHDMI, microUSB, microSD card slot, Wifi and 3G through dongle. PRICE ALERT: Heavy discount on online stores. Available for Rs 7285 on Indiatimes shopping. Check it out.